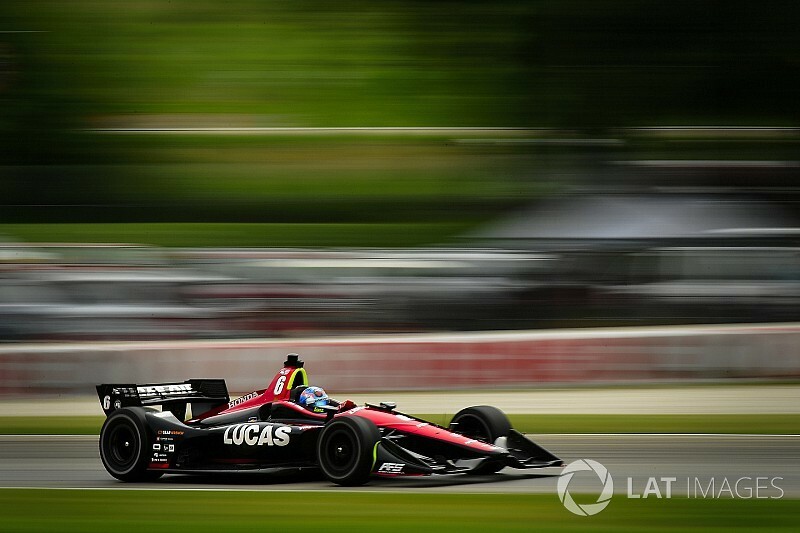 Robert Wickens put the Schmidt Peterson Motorsport-Honda team on top in Saturday morning practice at Road America, as the Honda teams continued to assert themselves over their Chevrolet opposition. Despite running black primary tires, Wickens was just 0.36sec slower than Josef Newgarden’s fastest on primaries in FP2 yesterday, clocking a 1min42.9915sec lap, 0.18sec faster than the fastest of the Andretti Autosport-Hondas, driven by Ryan Hunter-Reay. 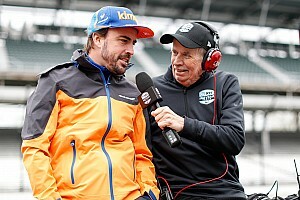 Simon Pagenaud and Will Power, third and sixth fastest respectively, were the sole Chevrolet representatives in the Top 10, their Penskes 0.19 and 0.46sec slower than Wickens. Alexander Rossi made it two Andretti cars in the top four, with Graham Rahal clocking P5. Championship leader Scott Dixon was seventh for Chip Ganassi Racing, while rookie Zach Veach survived a high-speed spin and stall through Turns 13/14 to clock a highly impressive eighth, just 0.4sec slower than teammate Hunter-Reay. 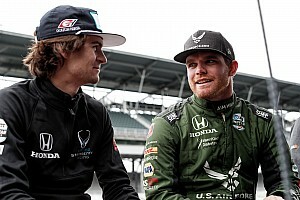 Yesterday’s pacesetter Newgarden was only 13th fastest, ahead of Marco Andretti, and the two Ed Carpenter Racing-Chevys. Alfonso Celis was back on track for Juncos Racing following his shunt in FP2, and finished up 22nd of the 23 cars, 2.37sec off the ultimate pace.